As Kearney’s convenient concept in short-term apartment living, Elizabeth House offers a home away from home for anyone needing temporary shelter. Based upon individual requirements, tenants can choose from a number of fully furnished studio apartments for varying lengths of time. These apartments fill the needs of anyone seeking a place to call home – the business professional on an extended stay in the Kearney Area or the family of someone undergoing medical treatment. You’ll be glad to know that Good Samaritan Hospital is only a 3-minute walk away. 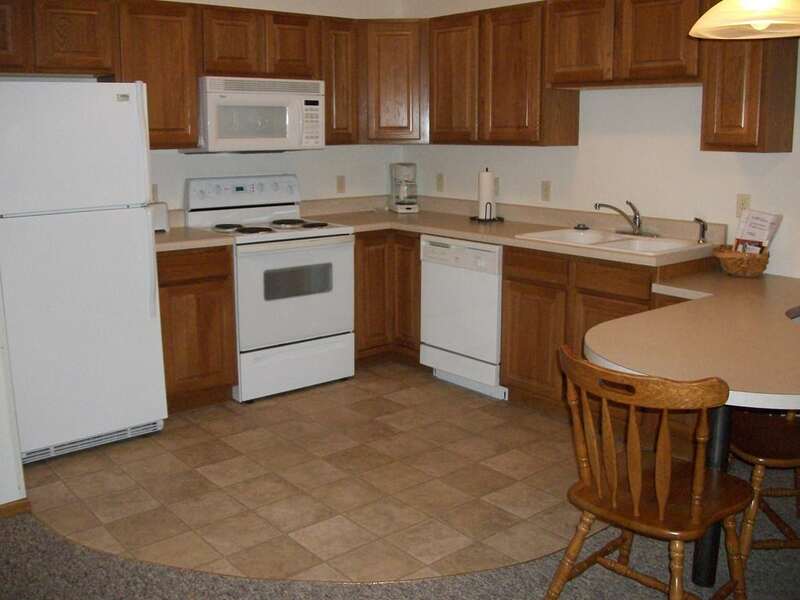 Kitchens are generously sized and equipped to handle most appetites. Elizabeth House Welcomes guests needing short term apartment accommodations while in Kearney. Elizabeth House offers a home away from home for anyone needing temporary shelter. Our common area provides a place to greet friends or a spot where a good book takes you away from your cares. Conveniently located near Good Samaritan Hospital in the heart of the Kearney medical district. Washer & Dryers available on premise for you convenience. Security entrance and well lighted apartment style hallways. Elizabeth House Exercise and Fitness room. Treadmill and Airdyne cycle for your morning workout in our exercise and fitness room. Elizabeth House Fax machine is available for your use 24 hours a day. Convenient well lighted off-street parking reserved for Elizabeth House guests.